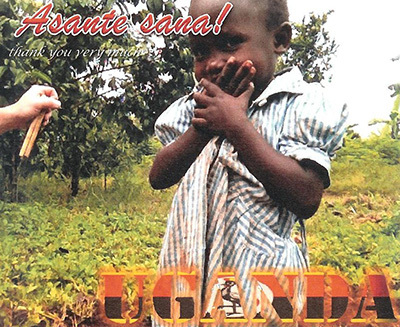 Photo of a young boy from Uganda that we sent some toothbrushes to as part of a mission trip with one of my patients. We sent 150 brushes and toothpaste! 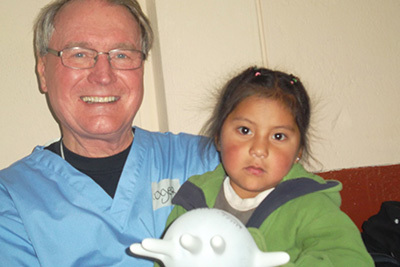 Picture Dr Roger Allan with one of the children that received dental care in Ecuador. It’s all about building trust and relationships. 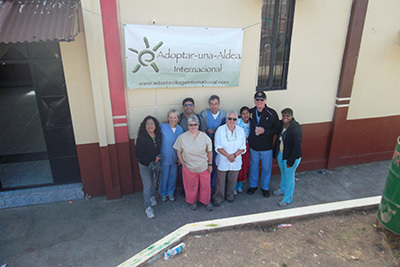 The Colorado Springs based organization Adopt-A-Village put together a team of health professionals from Colorado Springs and partnered with two dental schools, one Rotary Club, and humanitarian based organization CIMAS all located in Quito, Ecuador. 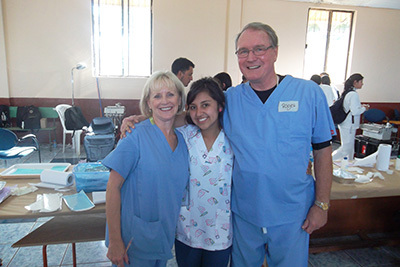 Dr. Roger Allan and wife/hygienist Marcia congratulate one the dental students that worked with us. 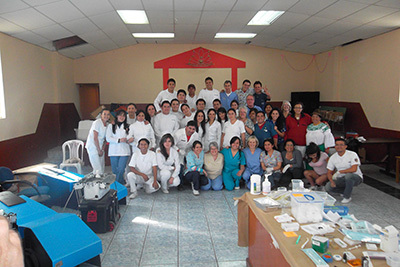 The makeshift dental clinic and several of the nearly 100 students gather together for memories of their hard work helping over 300 preschool children in the rural areas of north central Ecuador. Dr. Neal Allan and Monika treating a patient at the Colorado Dental Association sponsored Mission of Mercy’s annual clinic. This year the clinic was held in Pueblo. 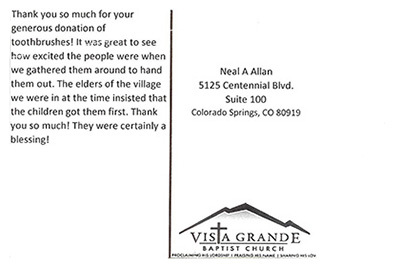 Dr. Roger A. Allan has been a member of the North Colorado Springs Club for twenty six years. His Rotary Club has been a major contributor to the success of providing dental care to the people of Pedro Moncoya in northern Ecuador. It is a wonderful symbiotic relationship between Rotary International, our North Colorado Springs Rotary Club, Adopt-A-Village International, and our invaluable partners in Ecuador. Rotary’s motto being “Service above self” provides the model for people helping people worldwide.